Desi Smith/Staff Photo. 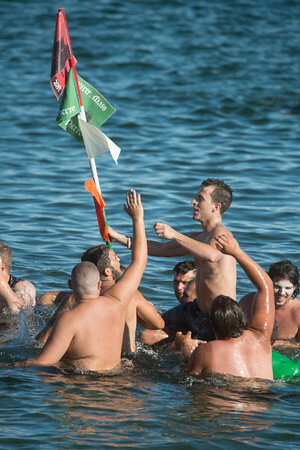 Lenny Taormina is carried ashore after taking down the flag in the first round during Friday’s Greasy Pole Contest, and will walk first in Saturday’s Greasy Pole. June 26,2015.